To get the latest news, join the Mailing List on Yahoo. WE WILL BE HOLDING OUR ANNUAL OTHER ANIMAL SPECIALTY SHOW AGAIN THIS SUMMER! Back by popular demand, we are once again holding the Other Animal Specialty show. To help fill the time between the end of the regular season and while we wait for the BOOK. Photograph and send in all of your non-equine animals! OUR LADY PHASE MAKEOVER CONTEST WAS A HUGE SUCCESS! Thank you to everyone who entered and to everyone who bid on the models. We couldn't do any of this without you! Here are our 1st and 2nd place winners. Click Here to see all of the entrants. Up next will be a Makeover on the Breyer San Domingo mold! Congratulations to the Winner of our Writing Contest, Traci Durrell Khalife! You can look forward to seeing Traci's article on Performance Tips and more in the 2019 MEPSA champ show book! Congratulations Traci! And thank you to everyone who submitted an entry to the writing contest! And a huge thank you to Jeanne for judging! Traci's prize is an unfinished mini Brio Sombra resin from Suenta. The 2017-18 Championship Show is in the Books! Below are just a few of the pics that were posted on Facebook of the prizes awarded. 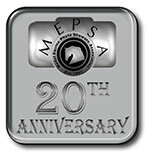 To see more pictures, visit the Unofficial MEPSA Facebook page. Congratulations to the Winner of the Tack Contest, Jennifer Buxton! For this year's Versatility Award, we have 3 winners! Once again, Laurel Dedes sponsored this auspicious challenge. To qualify, nominees must have achieved at least 3 Championships or Reserves in at least 2 different Performance divisions (Western, English or Other), awarded by at least 2 differeent judges. In addition, the nomiated horse must have a Halter qualification for the Championship, meaning it has placed 1st, 2nd or 3rd out of 100 or fewer horses or 1st - 6th in a class of over 100 horses in any Halter class (Gender, Breed, Color or Collectiblity/Workmanship). Winners each receive a NIB current Breyer. Congratulations to the Winner of the Stablemate Custom Contest, Shana Bobbitt! Congratulations to the Winner of the Tack and Prop Contest, Kitty Grubka!